According to findings presented at the annual meeting of Human Factors and Ergonomics Society (HFES) 2014 in Chicago, drinking caffeinated beverages can fight fatigue while driving. Usually, listening to music and drinking tea, coffee are two popular fatigue-fighting measures that drivers take. According to ShiXu Liu, a graduate student in Ontario-based McMaster University’s department of mechanical engineering, music can distract drivers which may explain why driving performance is not significantly improved when it is used as a fatigue countermeasure. For the study, researchers designed a simulated driving study that measured driver fatigue levels against the use of caffeine, music or no stimulant. Twenty participants completed three 120-minute driving sessions over a three-day span at the same time each day and scored their fatigue levels on a questionnaire. Results indicated that drivers who used either caffeine or music as a stimulant felt significantly less tired than those who did not. Those who drank a caffeinated beverage to stay awake performed their driving tasks much better than those who listened to music or those in the control group. ‘Even though both caffeine and music keep drivers feeling more awake, caffeine also helps them maintain good driving performance,’ Liu added. Tea reduces the risk of heart disease — Tea can potentially improve the blood flow around the body, by widening key arteries and reducing the risk of clots. Tea also contains antioxidants called ‘flavonoids’, which may slow down the onset and risk of heart disease. 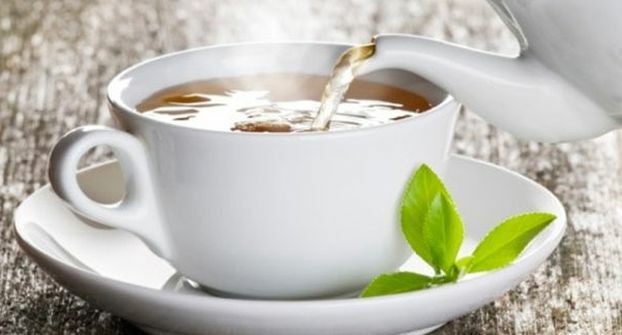 Tea hydrates the body — Although water is the prime fluid for rehydrating the body after exercise or a long day in the office, some scientists believe that drinking tea could be equally useful. Although high in caffeine, tea is still great for hydration as it provides a rich and flavoursome source of water. Tea prevents tooth decay — Believe it or not, a regular supply of tea can really strengthen your teeth and lower the risk of tooth decay. Tea is a great source offluoride, which can bolster tooth enamel. The antioxidants contained within a cuppa have also been known to fight against bacteria and gum disease. So get slurping!